Two goals from Kylian Mbappe allowed Paris Saint-Germain to come from behind to beat Caen 2-1 on Saturday and stretch their lead in Ligue 1 to 20 points. The French champions were made to work for the three points after Casimir Ninga put the home side in front in the 56th minute. PSG quickly responded through Mbappe's penalty before the 20-year-old struck the winner three minutes from time. Kylian Mbappe scored twice as PSG beat Caen and stretched their lead in the table. Kylian Mbappe's Ligue 1 goal tally is up to 24 as his double led the way in Paris Saint-Germain's come-from-behind 2-1 win over Caen. Caen head coach Fabien Mercadal expresses his shock at the news that former forward Emiliano Sala is reportedly among the passengers of a missing plane. 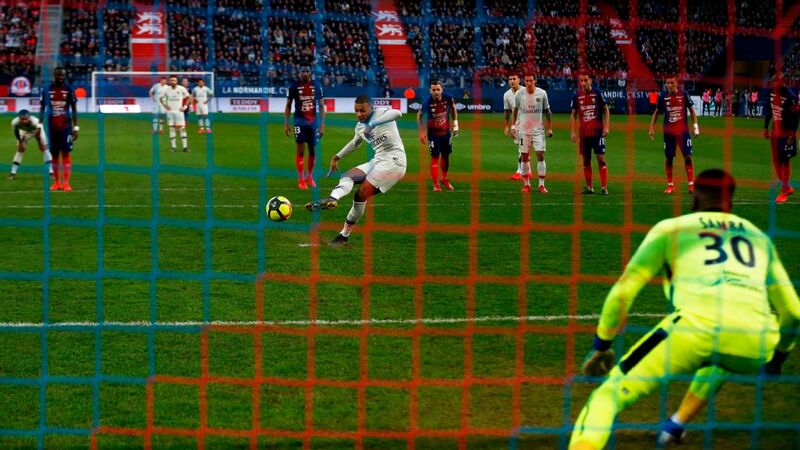 Caen scored a stoppage-time VAR-awarded penalty to beat visiting Toulouse 2-1 and secure a vital three points in their bid to break free from the Ligue 1 relegation battle on Tuesday. Faycal Fajr coolly slotted home Caen's winning penalty in the ninth minute of added time after the referee gave the spot kick with the help of the Video Assistant Referee (VAR). Saif-Eddine Khaoui had put the home side ahead after 18 minutes but Toulouse captain Max Gradel equalised with a penalty a minute before halftime. It was a long time coming but Monaco are finally up and running under Thierry Henry, courtesy of Radamel Falcao's winner at Caen on Saturday. Monaco, champions in 2017, had drawn two and lost four of Henry's first six games in charge but Falcao's 54th minute opener was enough to see off fellow strugglers Caen. The 1-0 victory cut the gap on Caen to two points following Henry's first win in seven matches as boss but it was not enough to lift Monaco out of the Ligue 1 relegation zone. Radamel Falcao struck to hand Thierry Henry his first win as Monaco manager.